If you’re interested in such things and have been anywhere near Facebook or Twitter today, you’ve no doubt read that the 2015 New York Wine & Food Classic was yesterday. Over the years, we’ve been critical of all competitions like this one (not just this one), but this year we’re simply going to report on the results, which you can find in the below press release from the New York Wine & Grape Foundation. Congratulations to the winners. 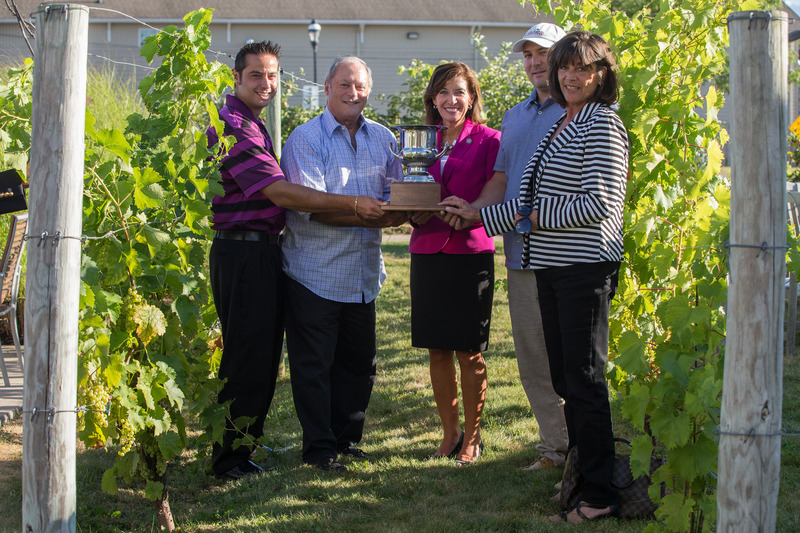 Watkins Glen, New York, August 12 – Ventosa Vineyards 2011 Lemberger, Estate Grown from the Finger Lakes Region won the coveted “Governor’s Cup” trophy at the 2015 New York Wine & Food Classic competition, held on August 11 & 12 at the Watkins Glen Harbor Hotel in Watkins Glen, NY. 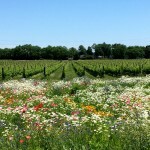 The “Winery of the Year” award went to Paumanok Vineyards on the North Fork of Long Island. Lieutenant Govenor Kathy Hochul presented the elegant Governor’s Cup, a large silver chalice, which recognizes the “Best of Show” or top prize of all 910 entries in the Classic, known as “The Oscars” of New York wine. The “Winery of the Year” award is presented to the winery with the best overall showing based on the level and number of awards in relation to entries. 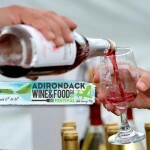 This year’s competition included 858 New York wines, 20 Hard Ciders and 32 Craft Spirits from several regions across New York State including Long Island, Hudson Valley, Finger Lakes, Niagara Escarpment and Lake Erie. The Ventosa Vineyards 2011 Lemberger, Estate Grown was also voted Best Red Wine and Best Lemberger on its way to the ultimate award. Paumanok Vineyards won Best White Wine and Best Overall Riesling on its way to the Winery of the Year award, along with several other top medals. 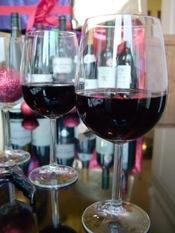 A “Specialty Wine Champion” award recognizes consistent quality among the increasing number of wines made from fruits other than grapes, or honey. The 2015 winner was Baldwin Vineyards. A “Best Limited Production Wine” award, for wines produced with fewer than 100 cases, went to Young Sommer Winery Riesling-Dry, Bernard Vineyard. There are also awards for Best Spirit and Best Cider. The Best Spirit honor went to Black Button Distilling Citrus Forward Gin, while the Best Cider was Kaneb Orchards St. Lawrence Cider. The awards were based on blind tastings by 21 expert judges-4 from California, 9 from New York, 6 from other states, and 1 each from Paris and London. 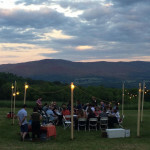 Judges included prominent wine writers, restaurateurs, retailers, and wine educators. Judging panels determined the initial awards, with top-scoring wines evaluated by all 21 judges for Best of Category and Governor’s Cup awards. 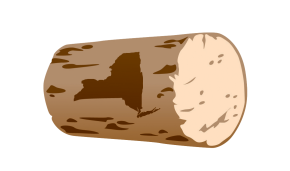 Celebrating its 30th year, the Classic is organized by Teresa Knapp of the New York Wine & Grape Foundation, and is open to all 409 New York wineries from all regions. In 2015, a total of 68 Double Gold, 80 Gold, 351 Silver, and 274 Bronze medals were awarded. In addition, “Best of Category” and “Best of Class” designations were awarded to wines rated as the finest in various areas. Double Gold medals require unanimity among a panel’s judges that a wine deserves a Gold medal, whereas Gold medals require a majority vote. 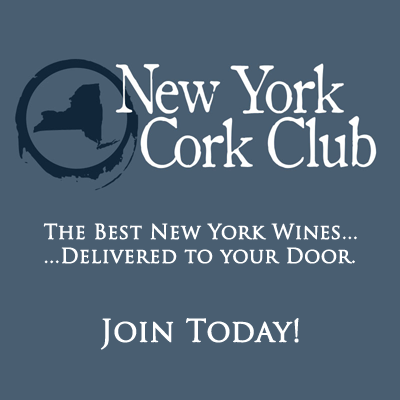 Complete results of the 2015 Classic will also soon be posted under “Awards and Accolades” at www.newyorkwines.org, which also includes Gold medal New York wines from other major competitions. 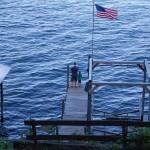 Will the LENNDEVOURS Party Actually Happen?